If your teeth have been damaged by cavities, chips or cracks, protect them from further injury with immediate dental treatment. Depending upon the size and location of the damage, you have several options – dental fillings, inlays and onlays, and dental crowns. 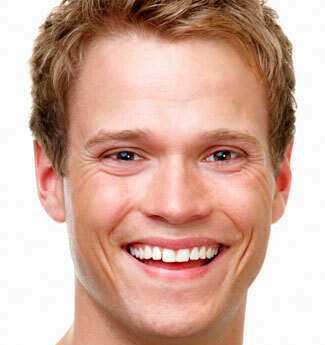 Dr. Thomas Vutech will advise you of the most appropriate treatment to repair your damaged teeth. For small to mid-sized cavities, fillings are the most common form of treatment. Our dental practice uses ONLY non-mercury, composite (white) fillings. We have never used amalgam/metal fillings. Many of our patients are concerned about mercury in dental fillings and they prefer composite fillings that blend in with their natural teeth so repairs are not noticeable when they smile. We believe composite fillings are just as, if not more protective. Composite resin fillings do not expand and contract with heat so they don't cause damage to surrounding tooth enamel. Furthermore, they are bonded to the surface of the tooth, requiring less drilling. For larger cavities on the bite surface of back teeth, a porcelain or gold inlay or onlay is likely to be the most durable option. Inlays are used when only one surface is involved; onlays when decay extends across several bite surfaces. Porcelain matches the color of the tooth surface, but gold can be used for the back teeth and provides extra strength. If your tooth is broken, severely chipped, or if there has been extensive decay, or new decay at the site of an existing filling, a crown (also called a cap) may be the best treatment choice. Crowns are also applied to teeth after a root canal. The root canal procedure tends to make teeth more brittle and a cap will protect it from breaking. Crowns can be made with porcelain or gold. Our patients benefit from the latest dental technology available in the field of restorative dentistry. To learn more about safe dental fillings or about whether an inlay or crown is the best option for you, contact our office online or call 401-294-3533 to schedule an appointment.